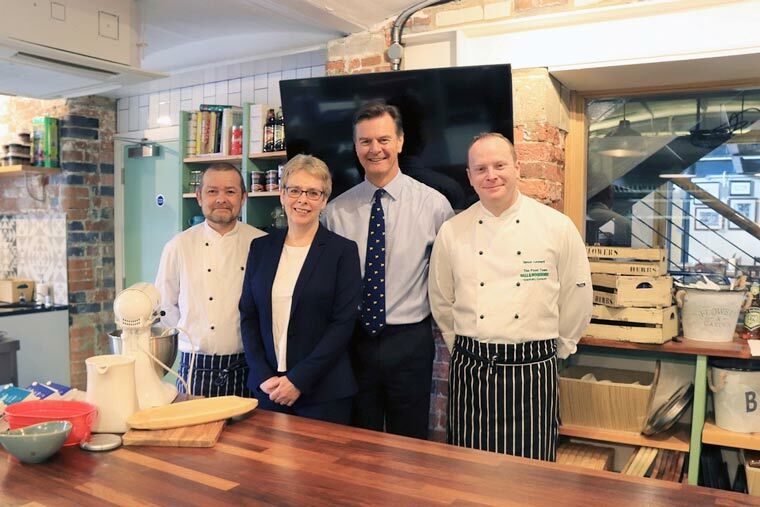 The College has teamed up with local brewery Hall & Woodhouse to launch the new chef apprenticeship programme in some of their pubs across the south region. The college is currently accepting applications for this apprenticeship which is due to start in September. The apprenticeship will provide those with an interest in hospitality to become chefs at some of Hall & Woodhouse’s flagship pubs such as The Ship Inn in Weymouth, The Black Rabbit in Arundel, and Hall & Woodhouse, Portishead in Bristol. The apprentices will undertake training in ‘block release’ at Bournemouth & Poole College to reach a commis chef apprenticeship standard. Matt Butcher, head of The BASE at the college, said, “Hall & Woodhouse is an iconic Dorset brand which has hundreds of years of local heritage, and we are delighted to be working with the team to offer students this opportunity. Dean Livesey, director of HR at Hall & Woodhouse, added, “We are entirely committed to creating genuine opportunities for people to unlock their potential and build rewarding careers in hospitality. We believe it is essential that our apprentices get the very best training to enable them to learn and develop the skills that will be used throughout their future careers. If you are interested in applying for the Hall & Woodhouse apprenticeship programme, please email the college on handw@bpc.ac.uk or call 01202 205500. Potential applicants are also asked to visit www.thecollege.co.uk/hall-woodhouse for further information on the course.